Photos: On coastal rock above HWM. Allihies, Co. Cork, SW Ireland. 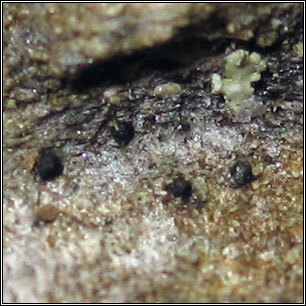 Thin, sometimes slightly waxy, greyish to pale mauve-brown thallus. 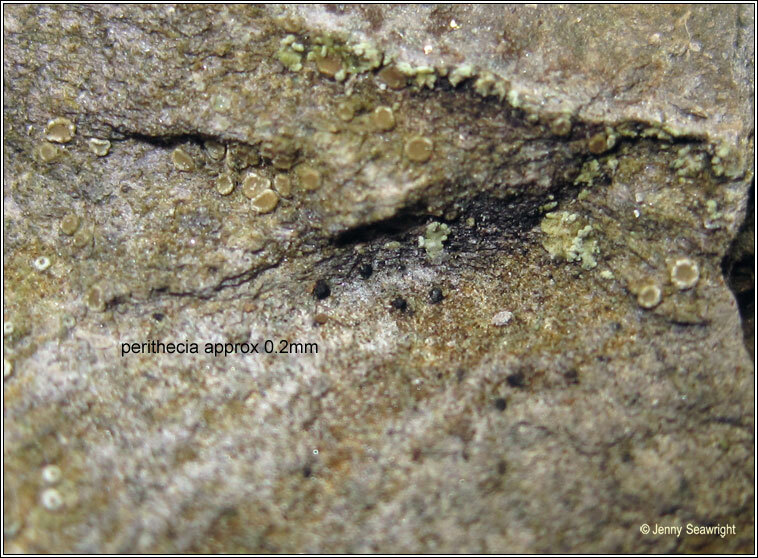 Perithecia are usually prominent, the apex +/- rounded or flattened, 0.3-0.5(-0.8) mm diam. 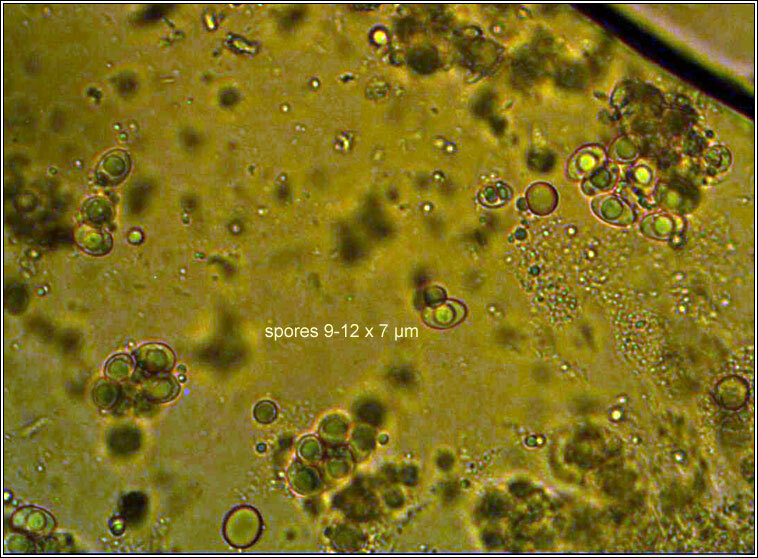 Spores simple, oblong with rounded apices, (10.5-)11.5-14(-16) x (4.5-)6.5-8(-9) µm. Micro photo below. Coastal distribution in dry crevices or on shady, vertical faces of siliceous rocks above the splash zone. Most frequently recorded in Ireland from western Atlantic coasts.